Isabelle Brossard, , manager of the GFA. 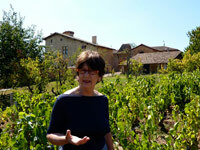 In 2005, the GFA (Agricultural Land Group), with Isabelle Brossard as manager, took over the estate. 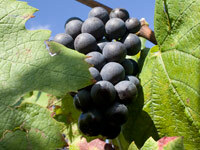 The GFA now controls all the stages from the growing of the grapes to the making of the wine. Xavier Girard was hired as a full-time employee. 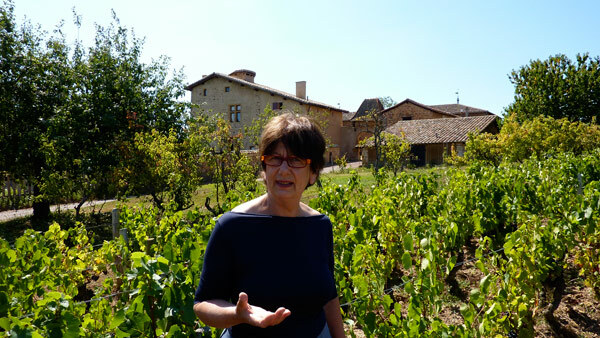 The European wine crisis, particularly severe in the Beaujolais region, has forced the GFA to make decisive choices for the sound management of the winery. 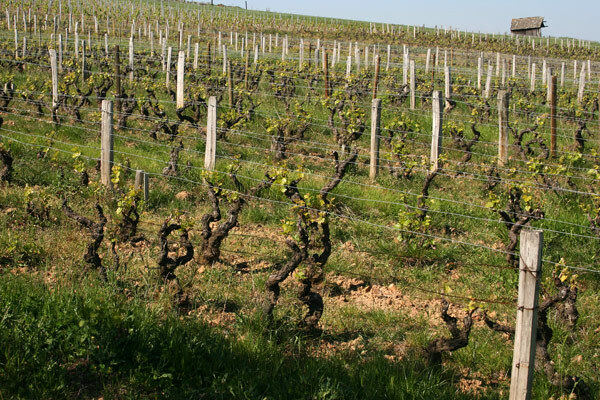 The 6-hectare farm was partly made up of very old Gamay varietals (red wine) planted in 1928 and 1932. Over the years, the manner of trimming the vines allowed them to spread, preventing machines from passing in between the rows. However, the only way to weed around the trunks of the vines without using herbicides is to pass an in-row weeder that can scrape the earth around the base. We allow grass to grow in the middle of the rows to prevent erosion. After the harvest, earth is pushed around the foot of the vines to protect them through winter. Since 2008, the GFA has uprooted about 50 acres of old vines annually in order to replant new ones and to install proper trellises. 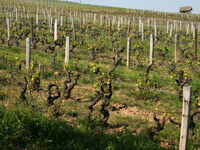 The newer vines that have been properly trellised allow for the passage of machines. Proper pruning allows the wood to be lifted and the foliage spread along the trellises. 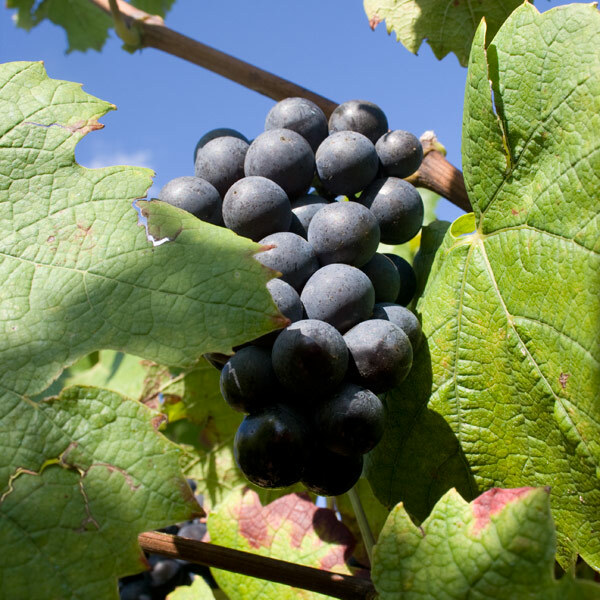 The grape bunch thus receives more light, preventing rot. The restoration and restructuring projects were completed in 2012. 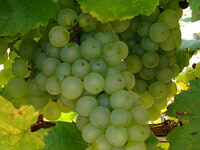 We have discovered that Pravin’s soil, made of clay and silt, can also produce excellent white wines. Therefore, 57 acres of Chardonnay grapes were planted in 2009 to diversify production; a first vintage of white wine was released in 2012. In July 2010, the GFA officially began to convert to organic farming. Organic farming is in line with the personal philosophy of each of its members and their beliefs about what it means to work the land. At Pravins, organic farming consists of enhancing the vitality of the vine with organic fertilizers and using only sulfur and copper in the fight against diseases and pests. More tilling is done (March-October). The inter-row grass requires more maintenance than traditional agriculture as it competes with the vine, which leads to lower yields. However, this also enhances cleanliness, and the quality and sugar concentration of the grapes. An authorized body (ECOCERT) controls all the production inputs, which must be labeled as organic. The use of chemical fertilizers, pesticides, insecticides or weed killers is prohibited. The GFA was transitioning to organic farming during 2010, 2011, and 2012. The GFA got the organic farming label in 2013. 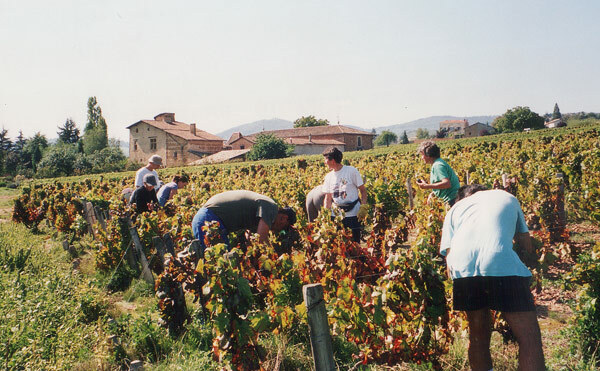 The grapes are harvested by hand. The entire grape bunch, as intact as possible, is put onto a conveyor belt, then falls into the fermenting vat. The grape skin splits open during fermentation, providing a beautiful color and releasing the juice’s sugar. Grapes not yet split will be in the press. Our very modern vat-room allows us to make wine according to tradition as well as European standards. The grapes are sorted in the vineyard and go through openings directly into the fermentation vats. Heating and cooling systems for each vat allow for individual temperature and fermentation control. A pneumatic press is installed above, high enough to allow the pressed juice to flow by gravity directly into the chosen vat in which the free-run juice was pumped beforehand from the fermentation tank. Each vatful is different. When the alcoholic fermentation is complete, we combine the wines. Special attention is paid to the preservation of the terroir’s originality and to the achievement of a long-lasting, fruity, and balanced wine. 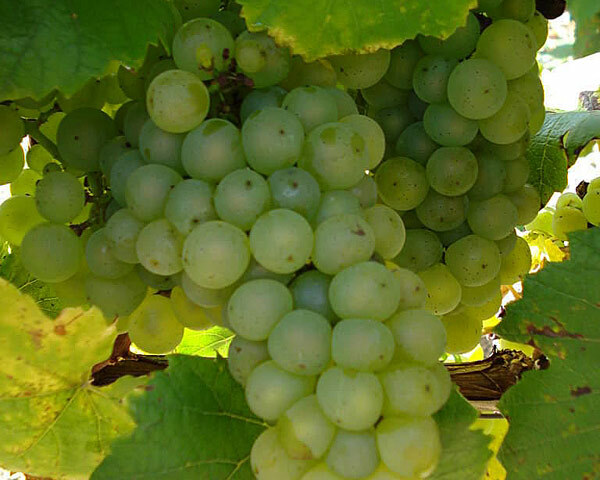 White wines are produced in a different way : pressing happens immediately after harvest. The pressed juice settles for 24 hours in order to separate the must from the sediment . The must is then pumped into another vat where the fermentation process begins. This website has been made possible by support from the EU and Rhône-Alpes region.